The Queen of England has had one of the better months of her long and eventful life. 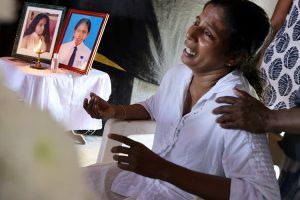 Looking back, she and the country she heads, are likely to see this last month as of particular importance, in asserting their role as a decision-maker in international affairs. Deftly, she has ensured both change and continuity, in the succession, for her family. And with the naming of her sixth grandchild, Louis Charles, she has also announced, what she would like to see happen in the future. In 2014, when India’s election results were announced, it must have rung alarm bells, in Windsor. For the new Prime Minister of India, was the first, to have no vestige of what Nehru had called an invisible association with the Commonwealth, and Britain. The inheritance of the family and the influence of the country must have seemed to be once again in danger. As is now clear, she had nothing to worry about. India’s leader loyally accepted dynastic succession. When she took over, as Queen, in 1953, she also became head of the Commonwealth, only it was not the British Commonwealth, a change in more than the name. Six years, earlier, in 1947, India had become independent, but also indicated that it would move towards becoming a republic. Since the British Commonwealth had no provision for Republics, and India was clearly not going to remain a dominion, preferring to walk out of the British Commonwealth, rather than be part of ‘an association of states owing a common allegiance to the Crown’. To accommodate, India, the Commonwealth, in 1949 morphed, into something unknown earlier, what Nehru, would call “an invisible type of association”, and which he believed, “is often stronger than alliances or treaties”. To retain India within the Commonwealth, the relationship of the Queen’s family with the former colonies had to change, become tenuous. A man called Louis Mountbatten, though ensured that despite deletion of the word British, from the Commonwealth, his nephew and family’s succession was assured, for at least one generation more. While her father had been head of the British Commonwealth, the Queen became head of the Commonwealth, and it was even then clear, that succession would no longer be hereditary. The announcement of her son as head of the Commonwealth, in 2018, must thus have been a signal victory; And until India tamely signed off on it, finally this month, not a certainty. India’s role in shaping the Commonwealth’s agenda predates her Independence. In 1946, the soon to be liberated colony, of India, made her first independent foreign policy decision. The interim government headed by Jawaharlal Nehru, imposed an economic boycott against South Africa and recalled the Indian High Commissioner, a move that the British, with significant economic interests in both countries, were unable to stop. Within India, while Nehru ‘s decision on South Africa, was welcomed, his desire to retain membership of the Commonwealth was often challenged, throughout his tenure, as prime minister. The rank and file and the overwhelming opinion within the Congress, was to leave the British Commonwealth. Influenced by Nehru, the Congress reluctantly in its Jaipur resolution agreed to stay within the Commonwealth. Soon after the Queen took over, Nehru defined, why India continued in the Commonwealth. In 1954, Nehru, would link, membership of the Commonwealth, to advancing the causes India believes in. India’s move, to distance itself from the apartheid regime in 1946 was, followed with alacrity, by other newly independent countries, a majority of whom also chose to stay within the Commonwealth. And it was within the Commonwealth, that the battle between equality principles, and commerce would be fought regularly, at least every two years, when the Heads of Government would meet. In 1960, South Africa, applied to join the organization, but sensing the mood, withdrew the application. Through the decades, India’s took on a more supportive role, as other countries, began to take the lead, Egypt on the Suez, Zambia, on white settler regimes, but remained involved, willing and able to move to the vanguard if required. And in 1985, Nehru’s grandson would lead what was perhaps the most significant threat to the Queen’s inheritance. The Commonwealth biannual meeting has traditionally included a weekend retreat. During these retreats, leaders, have the opportunity, to meet informally, discuss issues. And in 1985, the leaders, met at a resort in Nassau. Further economic sanctions against South Africa, which Britain opposed was the principal sticking point, with the Queen’s representative, the Prime Minister, Margaret Thatcher isolated. The friend who told me this story, is a fan of Indian epics, but has a tendency to get characters and scenes mixed up. He likened the scene at Bali Hai, a house where Mrs. Thatcher was staying to the Kope Bhavan, from which she refused to leave. Leaders, of Australia, Canada, India and Zambia, all men, all tasked with negotiating the joint action, against the apartheid regime went back and forth, trying to convince her. She would not budge and turned down every proposal, because they all included sanctions. There appeared to be a real possibility that the CHOGM, meet would end without an agreement on a final push to end apartheid. In the end there was an agreement, the word sanctions, was replaced with measures, and Mrs. Thatcher, finally emerged from the Kope Bhavan seemingly triumphant. Only later would it be known, that Britain was given a fait accompli, suggested and delivered by Rajiv Gandhi. Either they come on board, or the rest of the group would issue the agreement on behalf of the Commonwealth, effectively removing the country and the family, from the organization, that they had created. It was a close call as the Queen must have known. So in 2017, Prince Charles was sent to India. He arrived in New Delhi, to ensure the planned succession went smoothly. But taking no chances, the Queen, ensured that the weekend retreat during the 2018 Commonwealth Summit, happened at Windsor, her home. 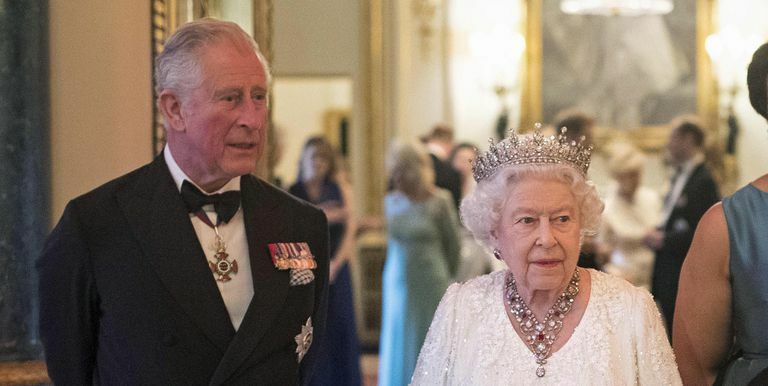 The succession went through without a hitch and the CHOGM meeting ended with all the leaders tamely accepting the continuation of the dynastic succession with Prince Charles as Head of the Commonwealth. And later in the month, Louis Charles was born, the name, a harbinger of things to come. Surprisingly, in India, the government’s acceptance of dynastic succession and even more, of mistaken loyalty to a colonial past got no editorial or political attention. Not even from the great grandson of the man, who forced the Commonwealth, to change from a bunch of loyalists, paying court to a collective which shared a vision, and had the courage to take tough stands. It should have.